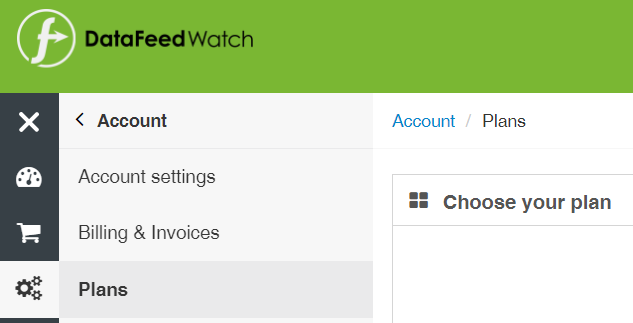 DataFeedWatch is a very useful tool for generating feeds from your online shop into a variety of targets (e.g. eBay MIP, Amazon Marketplace, Geizhals, other price comparison engines). click on Account (the gears), Plans. 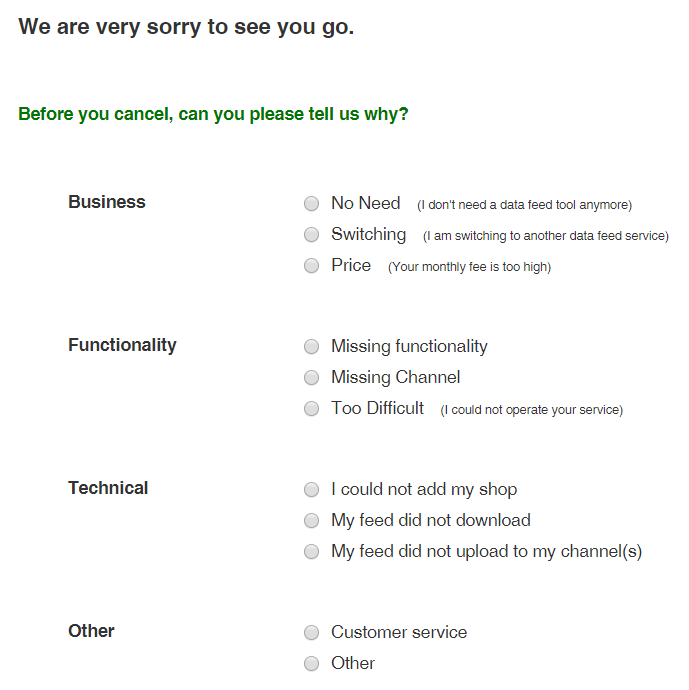 Click on one of the two tiny links at the bottom “Suspend my account” or “unsubscribe from DataFeedWatch”, depending on what your preference is. suspending your account you will be charged $5 a month. 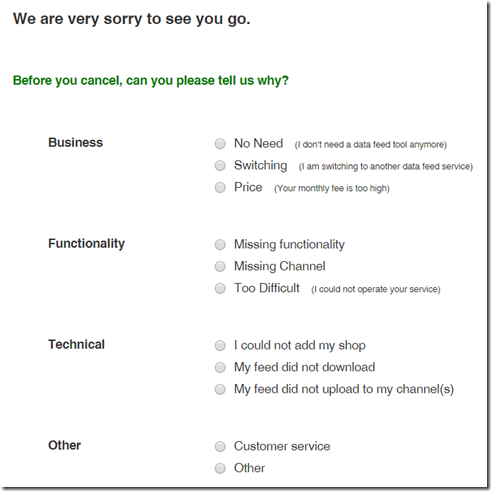 click the unsubscribe from DataFeedWatch link.